Many EU countries are currently undergoing major demographic changes, particularly in terms of shrinking total and working-age populations and population ageing. If this trend is to continue, the functioning of the labour market is at risk as labour shortages are increasingly more likely to emerge which will subsequently imperil further economic growth and catching-up across the EU. This report addresses the likely labour-market consequences of observable demographic trends in the EU. It applies a simple trend-based model which uses observable trends of the past 15 years of the working-age population and the activity rate – which together determine the evolution of the supply of labour – as well as of labour productivity and GDP growth – which together determine the evolution of the demand for labour – to simulate likely scenarios for the future development of labour supply and demand until 2050. 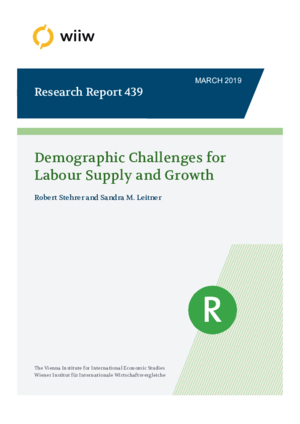 Projected future trends in both labour supply and demand are then used to establish whether and – if so – in what year adverse past demographic developments are likely to kick in and begin jeopardising further growth. Different simulation exercises demonstrate that in some EU countries – particularly countries in Central and Eastern Europe – labour supply-side constraints would already materialise in the mid-2020s, which calls for quick policy action to address and ideally avert the imminent demographic collapse.